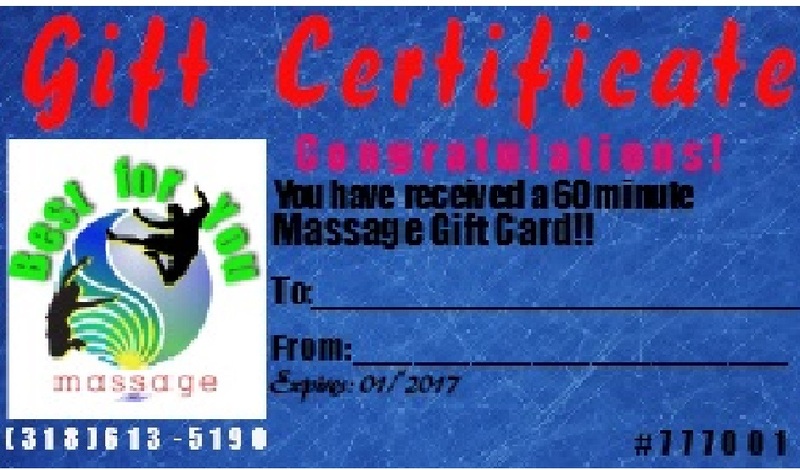 MASSAGE GIFT CERTIFICATES - BEST FOR YOU MASSAGE, L.L.C. 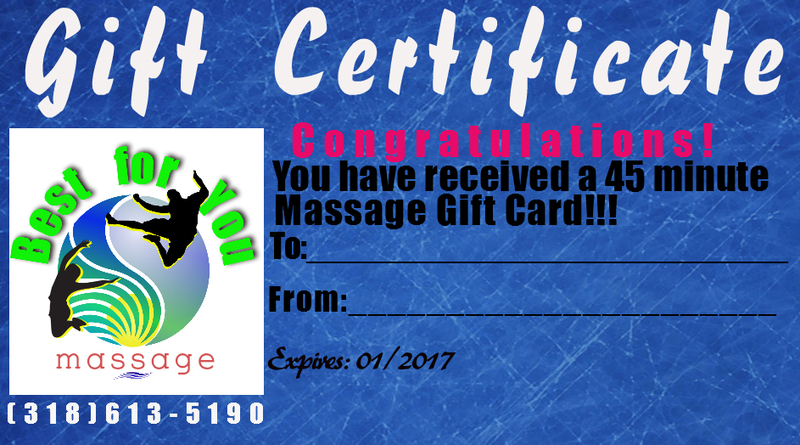 Give your loved ones the Gift of Massage from Best For YOU Massage! 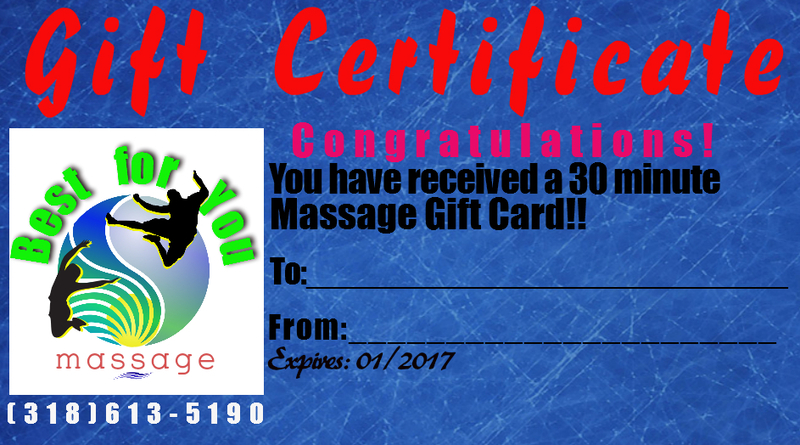 Perfect for the Holidays, Special Occasions, or just to say, I Love YOU! 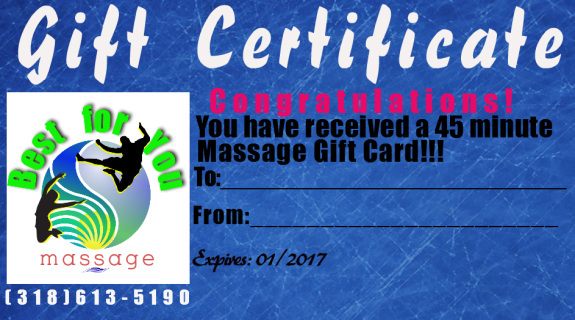 PURCHASE a gift certificate for yourself or loved one! These make great stocking stuffers and fantastic gifts for any occasions. Treat the ones you love today to the experience of Best For YOU Massage!